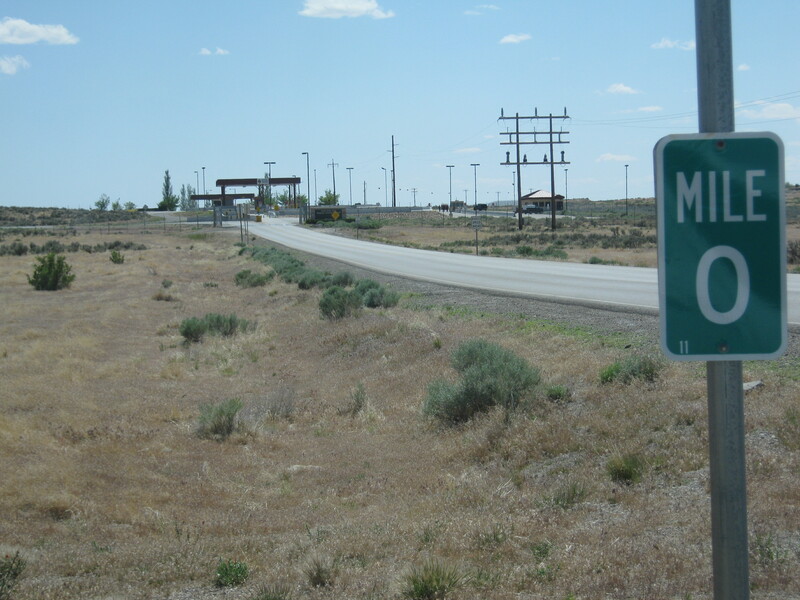 Dugway Proving Grounds is a super secret military operation surrounded by high fences and folks with weapons. It is not a place one wants to go. Strange things have happened there, such as the Dugway Sheep Kill in 1968. Even if I were to be granted permission (impossible to get) to drive the old road just for the sake of nostalgia, I wouldn’t do it. Sadly for us there is a gas station just inside the main gate and you can’t go there. The 1913 and the 1919 LHW went through Dugway long before there was a military presence. It was the most reasonable route. Today, you have to go around. From the Dugway Gate head ten miles south on a decent dirt road to the Pony Express Road. Both roads are susceptible to washboarding so just take it easy. 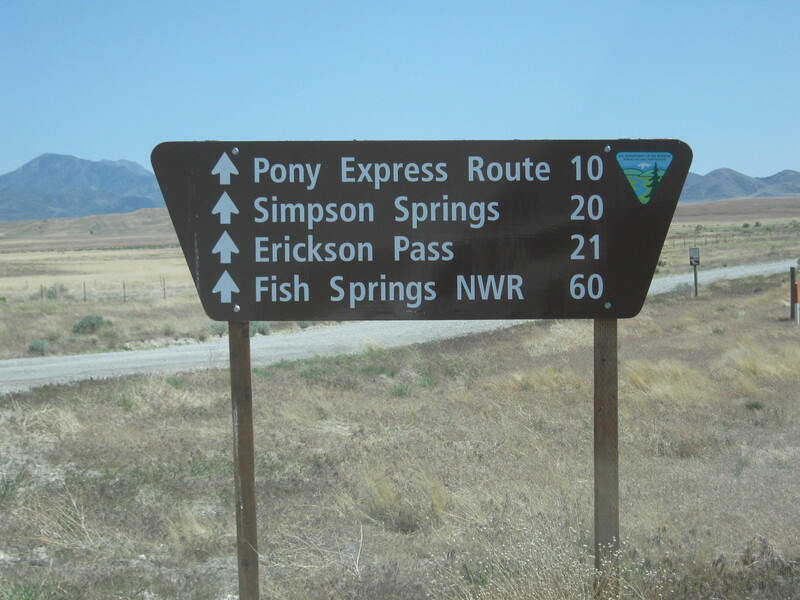 Turn right to Simpson Springs, our next stop. trail going off to the horizon. The second time our tour buses were able to drive all the way through, on the Goodyear cutoff. It is scary though – still used for bombing practice, and I believe to store some biological and/or chemical agents. Although I’m way behind, I am enjoying your reports on this section. It’s my understanding that there is some realistic hope that the 2014 Lincoln Highway Association conference in Tooele will include a ride through Dugway.